The Year in Review campaign is meant to establish the brand as a reflection of everyday culture. 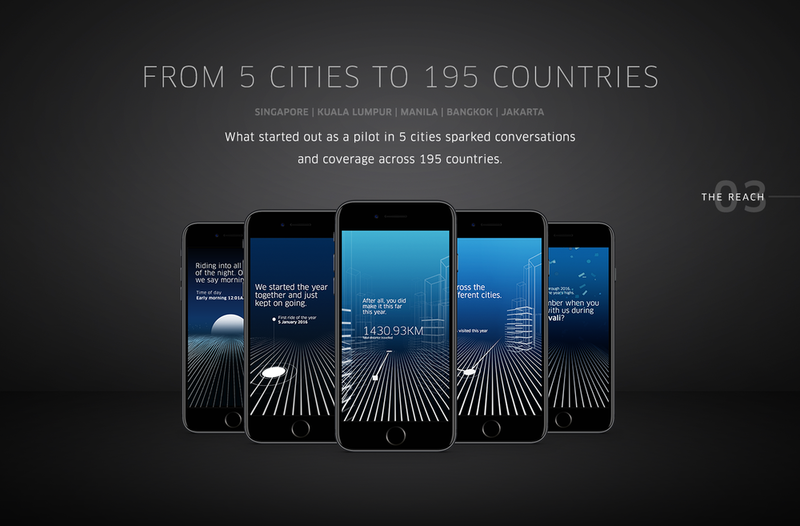 The center piece of the campaign in 2016 was a digital experience, powered by the Uber API. Riders could request a dynamic, personalised summary of their year, visualising data such as total trips taken, distance travelled, most frequent time of travel and trips during key ‘city moments’ like public holidays. This data-driven, user-centric brand moment put Uber firmly in the seasonal spotlight alongside other well-known and well-loved consumer tech brands, while displaying superior product and technology over other ridesharing players.